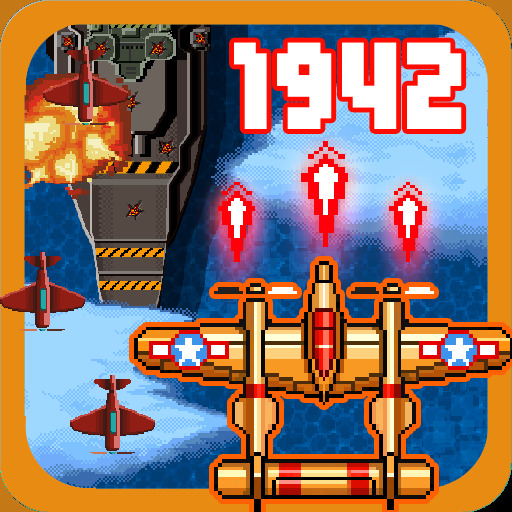 1942 Arcade Shooting v2.77 (Mod Apk Money) It is World War II, the story takes place in 1942 and you take on the role of “Super Ace”, a brave fighter pilot. 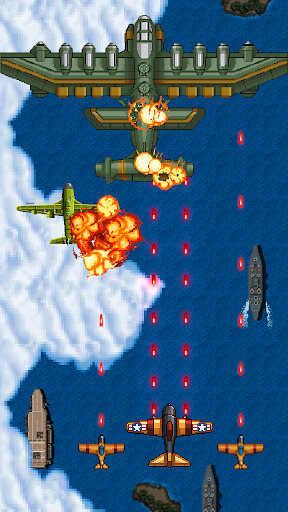 There are 20 levels to go through and the goal is to reach Tokyo and destroy the entire Japanese air fleet. And before you reach the main city, you will travel through Midway, Marshall, Attu, Rabaul, Leyte, Saipan, Iwo Jima, and Okinawa. 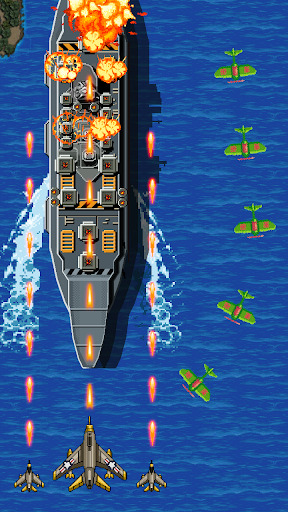 Each level you start and end on an aircraft carrier. 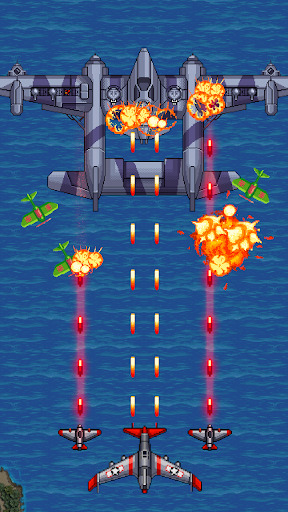 Then on your plane you fly to struggle against enemies over sea and land and shoot them all down. You get some different power ups to increase your firepower and chances of survival after destroying certain plane formations. 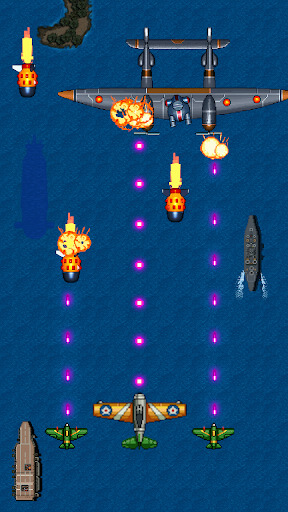 There are such power-ups as two machine guns, two side planes, extra loops and so on. * Screen slide: moves the aircraft – combat plane. * Touch the “lighting” button to make special lightning attacks.